Phoenix has got game. Especially downtown where an urban renaissance has created an exciting crossroads where dining shopping entertainment and four seasons worth of sports have created an unrivaled destination. Its also where you will find the Kimpton Hotel Palomar Phoenix a sleek boutique hotel anchoring CityScape a celebrated downtown landmark. 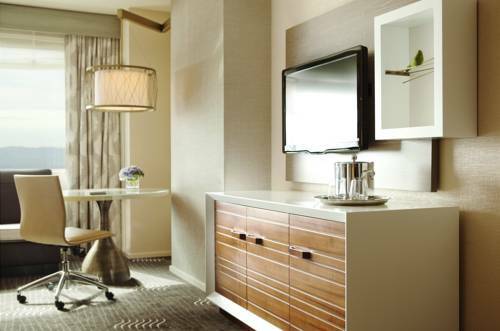 Here in the heart of the city we elevate your Phoenix experience with inspired design spacious guestrooms and suites and memorable amenities from top to bottom including a chic lobby living room where a nightly social hour is hosted and our sundrenched rooftop pool and lounge. Heres to going big at our downtown hotel. Blue Hound: Blue Hound Kitchen and Cocktails A New American gastro-lounge menu presents a wide variety of dishes and flavors composed of approachable ingredients thoughtfully constructed. Located at CityScape a mixed-use development complex including shopping entertainment and dining. The Hotel is 4 short walking blocks to Chase Field 2 short walking blocks to Talking Stick Resort Arena and 4 short walking blocks to the Phoenix Convention Center.